At Primary Care and Chiropractic, we take great pride in providing the finest chiropractic care to each and every patient. 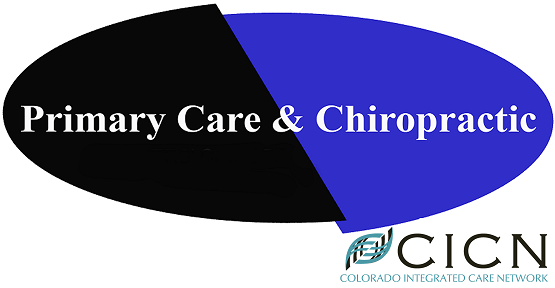 We have included information below about the different chiropractic services offered in our Highlands Ranch chiropractic office, but please call us at 303-683-3377 if you have any questions! We provide advanced spinal correction and chiropractic adjustments utilizing "state of the art" chiropractic techniques. Never in the history of chiropractic care have chiropractors been able to provide the level of help and expertise that is available today. Many of the newest chiropractic techniques are actually safer, more comfortable and more effective than ever before. As a chiropractor who cares about utilizing the most advanced chiropractic techniques, Drs. Kim Kesner, Chad Kesner, and Anna McNab have years of training, expertise and experience in helping patients get pain relief for back pain, neck pain, headaches, and other related conditions originating from the spine. Chiropractic care under a trained professional can even be used to prevent injuries and help you achieve total health or wellness. Acupuncture is a well-known form of traditional Chinese medicine that has been practiced for over 3,000 years. Neurologically, acupuncture can be used to activate small nerve fibers in the muscle. By doing this, the nerve fibers can transmit impulses to the spinal cord and activate centers in the central nervous system, releasing neurotransmitters and reducing pain. Massage therapy is not only enjoyable, but can relieve stress, painful or tight muscles, fluid retention and help heal injuries. Primary Care & Chiropractic offers not only medical massage (prescribed by a doctor to relieve tissue and joint pain) but also wellness massage which could be Swedish massage or even pregnancy massage. Their staff of certified massage therapists are ready to listen and take direction from you to make your massage relaxing and comfortable for you. Visit the Therapeutic Massage section for more information. Many problems are identified in the blood long before you actually experience symptoms. Our in-depth blood analysis and personalized, detailed report explaining what the tests and results mean, a complete list of recommended nutrients, vitamins, dietary requirements and other lifestyle changes necessary will start your journey back to health! At Primary Care and Chiropractic, we teach our patients how to perform special "blueprint" exercises which can help strengthen and correct the irregularities in their body which may be causing pain. Many of these corrective exercises can actually be performed in the comfort of your own home to help improve the effectiveness of your chiropractic care and spinal correction plan. In addition to skeletal misalignment, you may be experiencing pain that is caused by muscles and connective tissues which are out of their proper place. Other types of pain such as back pain, neck pain, and headaches are caused by muscles and tissues that are being used improperly, causing injuries over time. In each case, targeted corrective exercises and stretches from our experienced chiropractor will help you feel good while also helping your body achieve balance and health.